Assume someone else's dream! 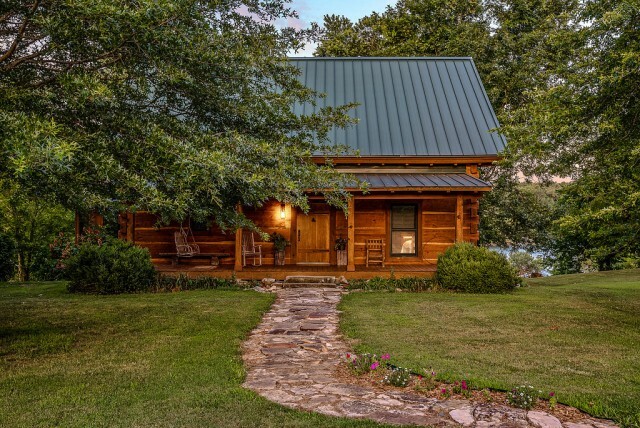 Heirloom log home, hand crafted in Appalachian style. 4 bedroom, 3.5 bath home, open floor plan. Custom kitchen with granite countertops, full finished basement, over 3500+sqft of heated space. Screened sleep-in porch, large deck, overlooking Steamboat Shoals w/150' of White River frontage. Easy access to private boat launch. This property is located in Norfork, Baxter County, Arkansas. 9' 9"	x	10' "
12' 10"	x	12' 10"
23' 5"	x	21' 9"
11' 9"	x	14' 2"
9' 4"	x	11' 4"
32' "	x	15' 2"
Please provide more information about Listing # 114749.